Fox News viewers couldn't possibly be atheists. Only religiously affiliated dating sites are acceptable. Naturally, their C.E.O.s are staunch Republicans. Fox News' lifestyle expert, Rachel Realto tells viewers that the stigma of finding love via an online dating site is now gone. So Fox News has their expert tell us which sites are the best. The sites mentioned are exclusively based in faith, because Fox News tells viewers that people looking for love must be a believer in some religion cooked up by desert nomads. They begin with Christian Mingle. 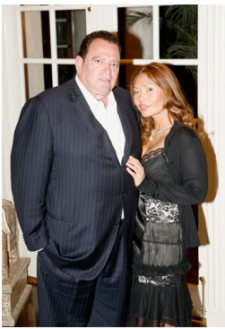 Christian Mingle is owned by Joe Shapira, one of the wealthiest Republican donors who, coincidentally started JDate, a website linking up Jewish singles. Shapira's Christian Mingle makes gobs of money claiming they find "God's match for you." Indeed, JDate has been the engine behind ChristianMingle’s “God” campaign this year. Spark has plowed revenue generated by the older, more established JDate into promoting the Christian site. ChristianMingle is now the biggest of Spark’s 28 dating sites, each for a specific subset of singles. That commandment about not taking the Lord’s name in vain aside, ChristianMingle’s competitors take some issue with invoking the Almighty in an ad slogan. “We don’t claim to have a pipeline direct to God,” said Sam Moorcroft, president of the ChristianCafe.com dating site. ChristianCafe, which says it is the only Christian-owned dating site among the major players, has a marketing tie-in with Focus on the Family, the conservative Christian group founded by author and radio preacher James Dobson. Focus on the Family once had ties with eHarmony.com and its founder, Neil Clark Warren, but eHarmony, a popular and widely advertised dating service, has moved away from a Christian-centric approach in a bid for a broader market. But Shapira is an influential Republican donor, so his site's taking the lord's name in vain gets a pass on Fox. Which brings us to the next dating site mentioned on the dating segment. eHarmony, which has a vehemently anti-gay CEO, N.C. Warren. The conservative Christian co-founder of the dating site eHarmony says that marriage equality damaged his company and endangered his employees. The irony? Fellow conservatives are the ones who nearly got violent over the inclusion of gays and lesbians in the online dating scene. That's pretty funny, his own people, intolerant Republicans, turned on him because gays and lesbians were signing up for the service. Curse you gay people! This dating service segment only includes people of a particular Judeo/Christian faith. Of course, any website that links up atheists is not even acknowledged.